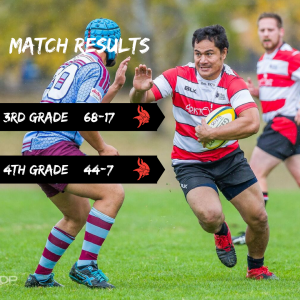 With 1sts, 2nds, Colts and ViQueens having the weekend off, it was left to the warriors from 3s and 4s to battle for glory in a trip down to play the Red Devils in Cooma. With the added incentive of the season’s first bus trip to complete a big day (and night), the group of young and not so young Vikings had a field day against their opposition. After loading up the bus and heading down the Monaro Highway, 4th Grade kicked off the day in perfect conditions at Rotary Oval. The cricket pitch looking ready to take more than a bit of bark off the body for those venturing close to the action. Starting in his first game for the club, ‘Big Red’ and self-appointed Captain Isaac Heslop proved a handful for the locals in the engine room and enjoyed the physicality of the match – even managing to get a 10 minute spell on the sideline for his troubles. The forwards laid the platform for the backline, their attack cleverly exploited and controlled play by Cameron Shaw, who survived a late fitness test on the bus on the way down to the field. Once again, Murphy Meafua proved to be a wrecking ball on the wing and found it easier to run through players than go around them on his way to a hat trick of tries. Coach Granni Lukins was well pleased with the result, 4th Grade now facing a refreshing 3 week bye after some excellent performances. It was a great start to the day, 4th Grade taking a 44 – 7 win. After a rousing pre game warm up, which included some vigorous words of encouragement from aspiring coach Andrew Taliana, the Vikings were ready to continue their winning ways. With the Cooma Ladies and Sponsor Day festivities in full swing, a large local crowd greeted the Thirsty Thirds as they made their way onto the park to start the game, running into a stiffening breeze in ideal rugby conditions. It didn’t take long for the massive forward pack, led by the twin bookends of Junior Sotogi and Dan Solofoa to stamp their authority by trampling through the ruck time and time again. 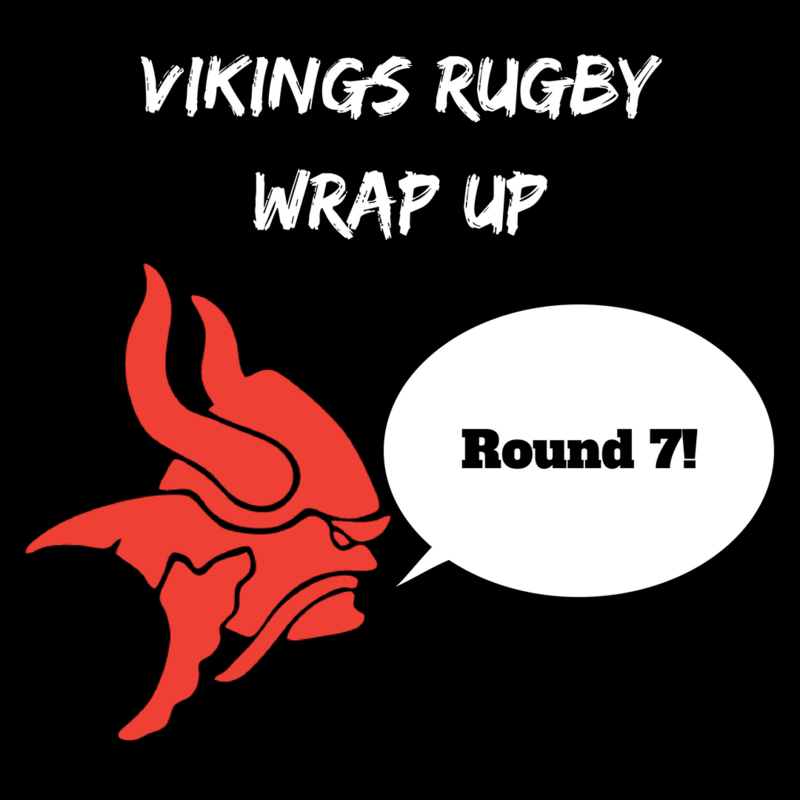 A dominant scrum allowed the Vikings to control play, with slick distribution from no 9 Lua Vailoaloa feeding the backline who were clinical against their opposition – Jerry Landu was dazzling with his foot work leaving defenders grasping at air. The first half was dominated by the Vikings, Andrew Dickson on song with his goal kicking converting 9 of the 10 tries amassed on the day. Big Sam Allen made a welcome return to the game, his recent injury having no effect on his work rate. The crowd came to life towards the end of the game after an elderly statesmen, who is a full time staff member, who won’t be named for privacy reasons (but isn’t Scriv or Bowdo) led by example after having his feathers ruffled, but the mighty Thirds came away convincing winners with a comprehensive 68-17 victory. As expected, a rowdy bus trip on the way home completed a great day’s outing for the Vikings. Thanks to Cooma for hosting us for a great day out of town. Our 1st Division teams take a well earned break this week, with our Premier Division sides returning to action against Royals and the ViQueens against Gungahlin at Viking Park. Vikings Rugby will also be staging a Welcome to Country in recognition of Reconciliation Day. We look forward to you joining us for another exciting weekend of footy on the 26th of May!